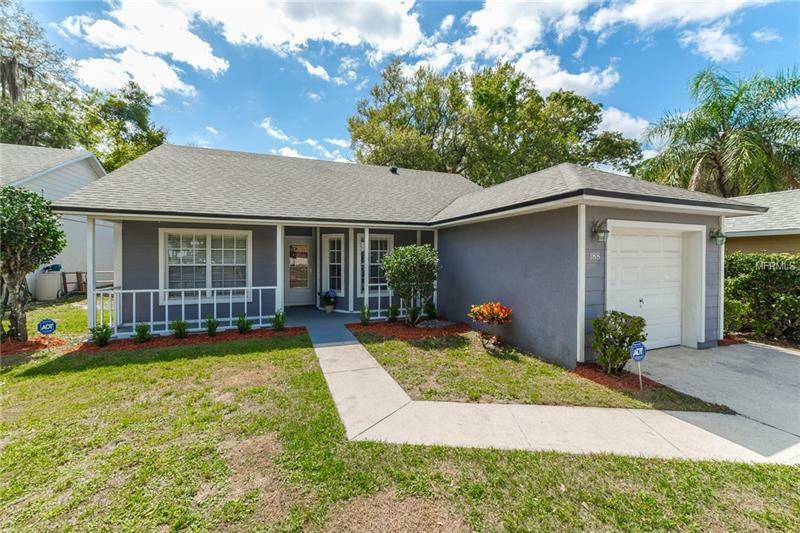 Charming 2 bedroom 2 bath home in desirable Monroe Meadows. Numerous upgrades! Brand new architectural shingle roof installed this year. Re-piped in 2019. Fresh interior paint. Spacious patio and fenced in backyard. Open floor plan features a large eat-in kitchen with breakfast bar overlooking the great room. Kitchen has tons of cabinetry & lots of counter space. The great room with soaring ceilings & french doors is warm and inviting. Conveniently located near SR417 & the Orlando/Sanford international airport. This home will not last. Call for a private tour and make it yours today!